If any of your Facebook friends have celebrated their birthday recently, you may have noticed a shared birthday fundraiser post for a charity organization. If any of your Facebook friends have celebrated their birthday recently, you may have noticed a shared birthday fundraiser post for a particular charity organization. Just the other day, a friend of mine shared a post that read: “For my birthday this year, I’m asking for donations to the American Diabetes Association. I’ve chosen this nonprofit because their mission means a lot to me, and I hope you’ll consider contributing as a way to celebrate with me. Every little bit will help me reach my goal.” Another friend of mine posted a similar post just yesterday. Interesting. This Facebook feature has been around for a while, but I’ve only recently seen it used. Turns out this is no mere coincidence. Facebook is actively continuing its efforts to promote this feature. 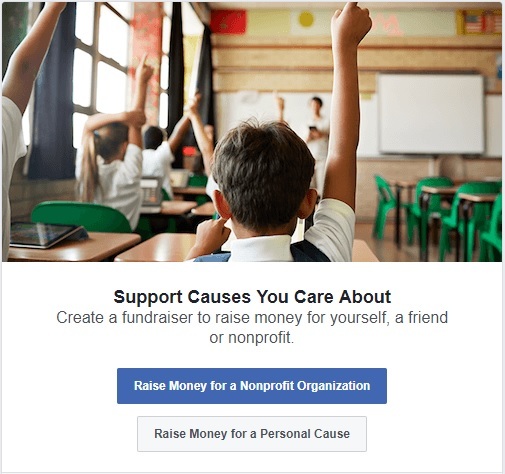 Last year, Facebook introduced the feature, which allows users to select a charity organization, set a goal amount, and enter a custom message like the one above. So why the sudden surge in popularity? Recently, Facebook announced that it would donate $5 to every newly created fundraiser posted on a user’s birthday. Users can select one of the 750,000 U.S. nonprofit organizations that have been vetted and approved for the platform. There is no word on how long this contribution feature will remain in effect. In November of 2017, Facebook eliminated the fees for nonprofits so that the full amount donated would go directly to the nonprofit. This latest development comes at a critical time in the Facebook timeline of current events. It comes on the heels of the Cambridge Analytica data scandal and the subsequent stock market plummet. It wouldn’t be a stretch to suggest that this latest development is an attempt by Facebook to save face with its users and help get them back in good graces. In that sense, this is simply a marketing ploy. Only time will tell the ultimate effect of these branding efforts. Let us help you find the best San Antonio Internet deals, along with cable and phone service!